Reality TV star Kim Kardashian has always been in news for her jaw-dropping style statements. This time she was spotted donning traditional Indian head jewellery, maang tikka for husband Kanye West’s weekly Sunday Service, which is a private concert that features choral arrangements of Kanye West’s music. The couple has been hosting this service from the beginning of 2019, every week. The 38-year-old fashion mogul posted a picture on her official Instagram handle which she captioned as,” Sunday Service Vibe.” She undoubtedly looked ravishing in this look but it did not seem to go down well with her followers. She was accused of cultural inappropriation on social media for wearing a cultural item like head jewellery. The maang tikka is a traditional ornament worn by Indian women for significant cultural events especially weddings and is often inclined towards Indian folklore. 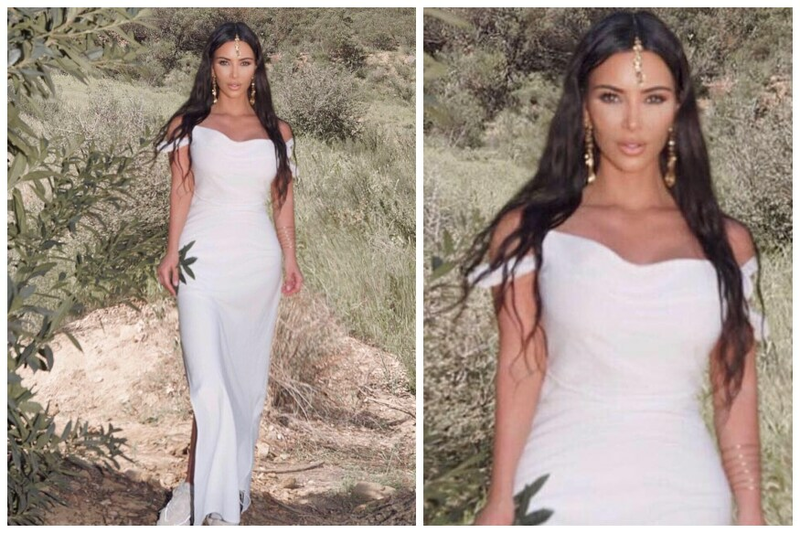 In a breezy white off-shoulder outfit, Kim teamed the headpiece with a pair of gaudy gold earrings and cuffs but her Instagram followers were not really impressed as they called it a mishmash of cultural pieces. The comment section of her picture on Instagram was flooded with people who trolled her saying, “This is not Sunday Service Vibe, it’s an Indian vibe.” While some agreed how it was not right for fashionistas to wear an ornament belonging to different ethnicity because culture is not a costume. This is not the first time the mother of three channelised her Indian vibes. In Vogue India’s 2018 issue she flaunted a red Sabyasachi saree and also a Lehenga by Anita Dongre. Other celebrities like Selena Gomez, Beyonce have been called out for cultural inappropriation for flaunting the traditional Indian Bindi and outfits in their songs. Kim Kardashian herself was slammed during the MTV movie and TV awards for flaunting a cornrow-style braid hairdo.